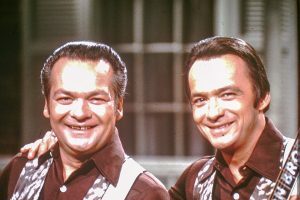 The Wilburn Brothers—Virgil Doyle and Thurman Theodore (known as Doyle and Teddy)—were a singing and guitar-playing duo that was one of the most popular acts in country music during the 1950s through the mid-1960s. They were known for their close, captivating harmonies. Two older brothers, Lester and Leslie, also sometimes performed with them. The Wilburn brothers were both born in Hardy, Arkansas—Doyle on July 7, 1930, and Teddy on November 30, 1931. They began performing with their parents and older brothers and sister when they were children in the late 1930s. In 1940, the singing family was brought to the Grand Ole Opry by Roy Acuff for their debut after “The Great Speckled Bird” singer discovered them at a talent contest in Alabama. By the late 1940s, Doyle, Teddy, Lester, and Leslie were performing regularly on the Louisiana Hayride radio program. Doyle and Teddy’s music careers were interrupted by service in the Army in the early 1950s. Following their discharge in 1953, they returned to music as a duo, joining the Grand Ole Opry and touring with Webb Pierce, Faron Young, and Ernest Tubb. The Wilburn Brothers perform “Sparkling Brown Eyes” on television in the 1950s. The brothers sing “Trouble’s Back In Town” in 1961. From 1963 to 1974, the Wilburn Brothers hosted their own syndicated television show featuring country-music performers. 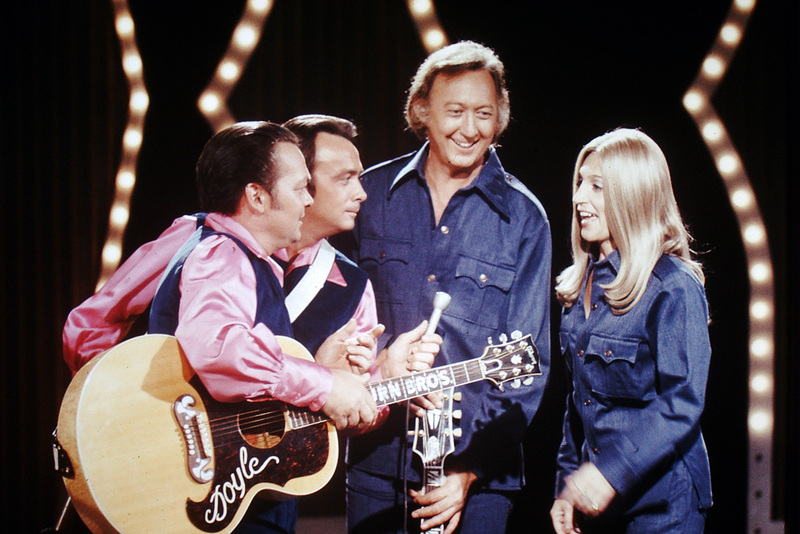 Young singers receiving career boosts from the show included Tammy Wynette, Dolly Parton, Crystal Gayle, Barbara Mandrell, Bobby Bare, Johnny Paycheck, and the Oak Ridge Boys. 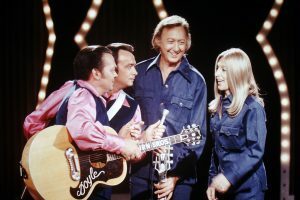 Doyle (left) and Teddy (right) sing “Making Plans” on their television show in the late ‘60s. In 1957—during the height of their singing success—the brothers formed their own music publishing firm, called Sure-Fire Music Publishing Company. They also formed a talent and booking agency known as Wil-Helm Talent, along with steel guitarist Don Helm. They used these business ventures to identify, sign, promote, and manage a number of young country-music artists through the mid-‘70s. The most prominent of their young “discoveries” was Loretta Lynn. After the siblings signed Lynn as a singer, she toured with them through much of the ‘60s. That relationship, however, eventually resulted in a lawsuit filed against the brothers by Lynn over royalties and publishing rights. In the ‘70s, the brothers’ best-known signed artist was a teenaged Patty Loveless (then known as Patty Ramey). She toured with the brothers as a featured vocalist and married their drummer, Terry Lovelace. 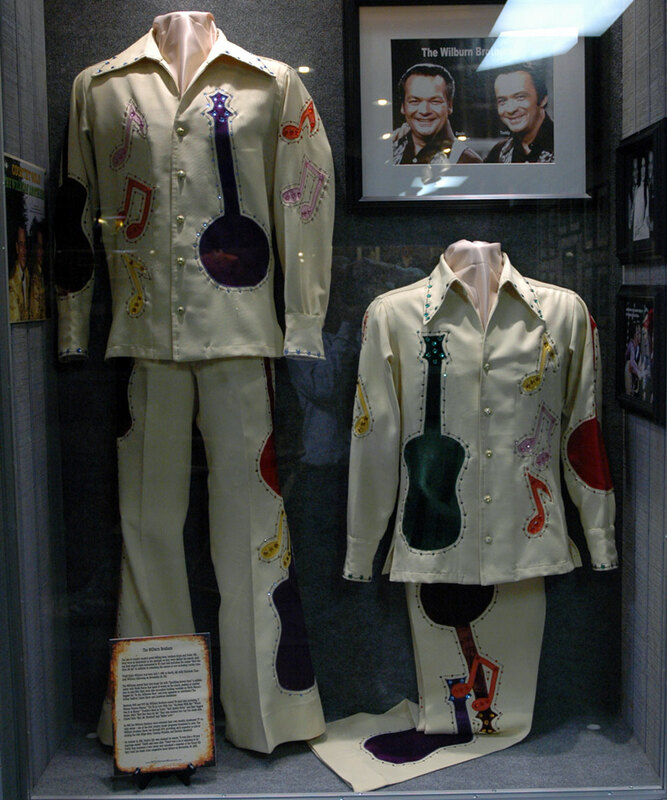 Other acts that Doyle and Teddy helped promote included the Osborne Brothers, Sonny James, Charlie Louvin, Jean Shepard, Martha Carson, and Slim Whitman. The Wilburn Brothers clothing along with photos of their TV series female star – Loretta Lynn on display at the Willie Nelson and Friends Museum. Although their chart hits stopped around 1970, the Wilburn Brothers continued to record and perform shows for a few more years. However, Teddy struggled with alcoholism for many years before turning his life around through religion. The last album the brothers recorded together was a collection of gospel songs in 1978. Doyle died from lung cancer on October 16, 1982. Teddy passed away from congestive heart failure on November 24, 2003. Teddy Wilburn … lost it all to find everything. MyBestYears.com. Edward Morris. Music pioneer Teddy Wilburn dead at 71. CMT. November 25, 2003.